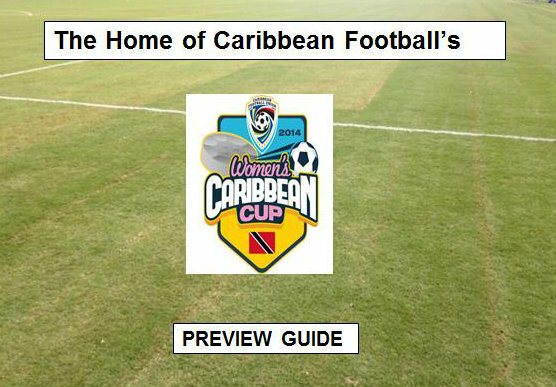 The schedule for the first Women’s Caribbean Cup since 2000 has been finalised as host nation Trinidad & Tobago begin to put the finishing touches to general logistics and preparations. This competition is the first step on the way to the Women’s World Cup to be held in Canada next year, with another qualifying phase sandwiched in the middle which the United States will host. Bermuda on the whole was very impressive in qualifying for the Caribbean Cup, scoring ten and conceding three. They were handed a relatively easy first game against hosts Turks and Caicos Islands, a depleted and inexperienced team, and the result was never in doubt: an emphatic 0-5 rout with two players completing doubles, Shauntae Todd and Cheyra Bell. Highly rated forward Aaliyah Nolan also got in on the act as Bermuda had effectively wrapped up the win on the hour mark and sent out a message of intent to St Kitts and Nevis, whom trounced Cayman Islands by the same score-line two and a bit hours previously. This team had already shown signs of improvement in last year’s Island Games on home soil, clinching the football title on penalties. Bermuda played without fear on that occasion and they replicated the same type of form in the opener, but complacency crept in for the second outing against Cayman Islands. The aforementioned pair of Todd and Bell were again on target yet foolishly the girls assumed they’d done their job after that; their opponents detected this naivety and took full advantage with two goals in the space of 14 minutes through Shenel Gall and Courtisha Ebanks. Bermuda had taken their foot off the pedal and was lucky to escape with a point, while St Kitts predictably swept aside Turks and Caicos. This meant the last game was pivotal as the two group heavyweights locked horns in Providenciales. It was a gripping, end-to-end match with a penalty included too, which the evergreen Tood dispatched, and Bermuda went onto win 1-3. In the end both qualified and there is very much the possibility that the teams could meet again. As for Bermuda in their actual group, they’ve been dealt a very difficult draw. On paper they’re probably the third worst side in the mix with Puerto Rico the least glamorous, because Jamaica and Haiti – especially the former – have such favourable reputations within the region. It seems much of Bermuda’s play relies upon the goals of Todd and creative influence of Nolan and those two are key components, but there’s a lingering doubt that this team might just lose focus at a critical stage and it could prove fatal. It would be an extraordinary achievement for Bermuda to reach the tournament in the US but I feel they’ll probably be pipped to the post. Here’s a stat for you: no Caribbean team has ever participated in the Women’s World Cup. If anybody was to buck that trend at this precise moment in time then it would most likely be Jamaica, back from the dead after a lengthy hiatus from the women’s game due to “financial constraints”. They didn’t play any games for several years but courtesy of a reboot to the national women’s football programme, they’re back again and playing with such style and clinical edge. Daughter of the legendary Bob Marley, Cedella Marley has recently been appointed as the new head of the national women’s programme and she has instigated a campaign on behalf of the Bob Marley Foundation, called “Strike Hard for the Reggae Girlz!”. A page was set up on Go Fund Me by the Jamaican Football Federation where people can donate money to the women’s team so they can afford necessary training camps, nutrition, travel expenses and housing for the squad and staff. The goal is to hit the $750,000.00 target and so far, astonishingly, $155, 735.00 has been raised which looks to be sufficient for now. Marley is the catalyst behind this and there is a collection of people in place operating the social media aspects as well as the website reggaegirlz.com. Jamaica is entirely serious about making it to this World Cup and they stand an extremely handsome chance of, dare I say it, making it all the way. As part of their preparation and planning before the qualifying phase, the girls travelled to the US for an intense two-week training camp. They played several college teams and the manager Merron Gordon was given a perfect opportunity to assess his side’s shape and condition before flying out to the Dominican Republic to begin qualifying for the Caribbean Cup. It was widely expected prior to kick-off against St Lucia on the 20 June that Jamaica would win and with conviction but what was to come was pretty incredible. The girls registered a resounding 14-0 victory – Shakira Duncan grabbing four and Alexa Allan a hat-trick – as they left the St Lucians stunned. Inside two minutes they’d already raced into the lead and they were streaks ahead in terms of fitness levels, possession stats and efficiency in front of goal. Confidence flowing, Jamaica moved onto Dominican Republic and continued their merciless touch by putting seven past the hosts. Duncan, who plays for domestic-based Harbour View at club level, netted another four and increased her goal tally to eight for both outings. This was more than enough and Jamaica only had to play twice because of the terrible news that Anguilla withdrew before the event due to an outbreak of chikungunya virus in their squad. 21 goals for, nothing against – this was quite literally a walk in the park for the Jamaicans. For the Caribbean Cup itself they open their account with a rather favourable match against Puerto Rico, who was fairly mediocre throughout qualifying. Then Jamaica faces Bermuda, before the final one against Haiti which promises to carry significance for the outcome of the group. The Reggae Girlz has one of the best squads, and now setups, in the tournament and it is going to take something truly remarkable for them not to make it through to the next phase. Expect them to finish top of the pile. Led by Polish coach Shek Borkowski, Haiti harbour hopes of copying their male counterparts at this tournament (male team claimed the 2007 men’s version). Borkowski is an experienced figure within women’s football management as he has won league titles in the United States and coached 28 internationals from 19 countries. It’s fair to say Haiti has got a very capable manager in the 2008 W-League Coach of the Year. All qualifying matches in Group 4 were played in Mirebalais, northeast of the country’s capital Port-au-Prince, so Haiti had the upper hand from the outset. Just like Anguilla, Guadeloupe also withdrew before the competition because of the very same reason: an outbreak of chikungunya virus in the squad. Without going into too much detail because it isn’t a particularly pleasant subject, according to online information chikungunya is a virus transmitted to humans via Aedes mosquitoes. It typically causes a fever which lasts for several days and in the end this virus ruled two teams out of participation. So Group 4 was comprised of Haiti, Cuba and Suriname – Haiti’s opening game was a straightforward 3-0 win over the Surinamese, but the final one was critical. They met Cuba who also beat Suriname in their first fixture. The permutations were simple enough: whoever won went through to the Caribbean Cup. It was an extremely tight affair and looked destined for a draw up until the final five minutes. Cuba’s Dayanai Baro Mesa put the ball into her own net in the most unfortunate of circumstances and Haiti profited big time. Through a large slice of luck the hosts had beaten their opponents, albeit very narrowly indeed, and the home crowd burst into wild celebrations. The momentum is with Haiti heading into this Caribbean Cup and they should have enough talent in the ranks to mount a charge for first, or more realistically, second place. If they can do that, with Bermuda being the only real legitimate contenders to beat them to that position, then Haiti are in the final four and through to the next round in the US. I kid you not, Group 2 of Caribbean Cup qualifying also only had three teams involved. Dominica were set to be the fourth but were forced to pull out because some members of the squad didn’t receive visas in time. It left hosts Puerto Rico, Martinique and Barbados to test their mettle against each other with two teams progressing to the next round, so there was an added incentive to play well and earn the results. As mentioned earlier in the article, Puerto Rico weren’t thoroughly convincing during qualifying. In the first match against Barbados – an athletic side without much tactical awareness or positional sense – it took 69 minutes until Charles Gatinho’s girls broke the deadlock through forward Karina Socarrás. Credit to Puerto Rico for their defensive solidity but they struggled to break the Barbadians down and went into the next one against Martinique with a similar game-plan: to restrict the opposition to minimal chances and break when the chance comes. Jaqueline Guerra gave her side a fantastic start inside nine minutes but Martinique drew level later in the first half via Prisca Carin and that’s how it ended. It meant both sides had four points each but Martinique finished top on goal difference were guaranteed progression through the virtue of their “records against the 1st and 3rd placed teams in their respective groups” according to CFU. So they scraped through without scoring many but at the same time not conceding many either. Puerto Rico will be difficult to break down – skipper Deysla Reyes of American-based club Valdosta State Blazers marshals the defence effectively – and they are expected to try and frustrate their opponents as much as possible. But I cannot help but feel this group is beyond them and the final four is too much of an ask. Thank you for reading! Feel free to leave any constructive feedback in the comments box below. Stay tuned for Part 2 of this preview guide coming soon. Meanwhile, you can get in touch with me on Twitter, Facebook and Instagram.